27 Sep How Much Does Marketing Video Production Cost? 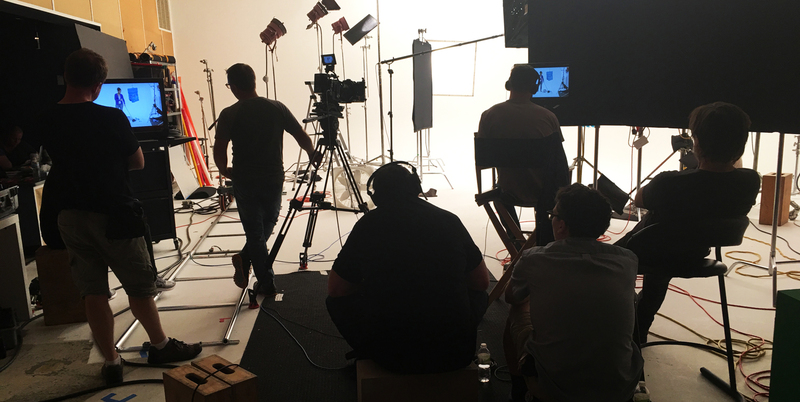 From Fortune 500s to small startups, nearly everyone is making marketing video production a priority. But how much should you spend? Should you talk to a creative video production company, or try to do it yourself? And when? If you’re asking these questions, you’re not alone. Start with zeroes! Literally, how many are you comfortable with? Video production is so incredibly scalable, you can go from $100s to $100,000s. (If you have to ask, you’re not in the $1,000,000s!) With only 1-2 zeros, your solution is probably in your hand right now—your own phone. Invite friends and family and let ‘er rip. If you can invest 3-4 zeros, you can start talking about professional equipment and video professionals. If you can add yet another zero, you can start to get fancy with stunts, trained or even famous talent, technical whizbangery, etc. Think like Cupid. Okay, so let’s say you’re in the 3-5 zero range. If this was your chance to take your most valuable prospects out for a date, what experience would they expect from your brand? Burger and a beer, fancy steak dinner, or sushi and wine in Malibu? Be honest about their expectations—not just yours. Go shopping. Once you’ve landed on a number, or at least a zone, get some quotes. With some parameters, most marketing video production companies will be more than happy to provide a quote. Make a list of any parameters you know of, and share any and all creative vision you have for the project. The more you’re willing to share, the more accurate they can be. Then, listen for the questions they ask, and pay attention to how you feel in the conversations. That’s important, too. Know where your money is going. Brand video productions are an art, not a science. Two companies may take very different approaches to the same project, and that could mean two very different price tags. A lower one isn’t necessarily a better one, and vice versa. Have your contact walk you through how they’ve allocated your budget. Are you aligned on what’s a necessity and what’s a luxury? If not, explore why. Maybe there’s something you hadn’t considered—or maybe they can readjust. Either way, it helps you avoid surprises or disappointment later. If they don’t want to show you numbers? Walk away. Finalize the details. It’s totally fair to ask a company to revisit their video production package with some specific direction, just as it’s fair for them to point out what could be gained or lost at certain budget break points. In the end, you want to be sure you’ve found a partner that will help you find the right balance of budget to finesse. Be sure to ask for payment terms—many companies require half or more up-front. Don’t worry, it’s not that they don’t trust you, it’s because there are many up-front, hard costs to productions. If you’ve got a project in mind, it’s never too early to start talking with a trusted partner. In fact, you can initiate a quote right here.